It is amazing how one person’s words can stir up a community. In recent days, the wheelchair basketball community is in a frenzy due to Steve Coburn’s words in regards to his prize horse California Chrome losing in the Triple Crown this past weekend. Coburn stated that, “These people nominate their horses for the Triple Crown and then they hold out two [races] and then come back and run one,” Coburn told ESPN. “That would be like me at 6’2” playing basketball with a kid in a wheelchair. They haven’t done anything with their horses in the Triple Crown. There were three horses in this race that ran in the first two — California Chrome, Ride on Curlin and General a Rod — none of the other horses did. You figure out. You ask yourself, ‘Would it be fair if I played basketball with a child in a wheel chair?”. As a member of the wheelchair basketball community, I as well as many others take offense to these comments. For a man of his status to down-play the sport and the ability of my peers and myself is unacceptable. 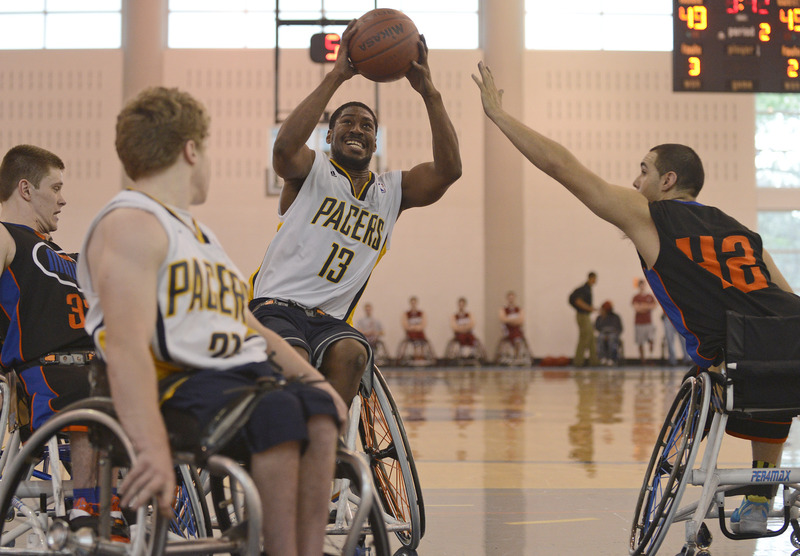 The amount of physicality and commitment that is needed to compete in the game of wheelchair basketball is not measured by a person’s disability, but through their passion and discipline for the game. What Mr. Coburn and other individuals need to realize is that wheelchair basketball is not for the feeble-minded and weak-hearted. It takes a special type of athlete to get into the gym day in and day out to strengthen what muscles their body may have and use them to their fullest extent. As a fellow competitor I welcome Mr. Coburn to take a visit to a few places such as Champaign, Illinois; Whitewater, Wisconsin; Arlington, Texas; Columbia, Missouri and Erie, Pennsylvania where there are many “kids in wheelchairs” whom are aching to put his analogy to the test. So, how about a nice game of horse? Quote originally from espn.com at http://espn.go.com/horse-racing/triplecrown2014/story/_/id/11051377/california-chrome-owner-steve-coburn-continues-rant-vs-triple-crown-system. Interesting that Coburn automatically brought up disability to express feelings of cheating and unfair play.